Background/Purpose: Inflammation is an independent risk factor for cardiovascular (CV) risk in rheumatoid arthritis (RA). Paradoxically, potentially cardioprotective decreases in inflammation is associated with increased low-density lipoprotein cholesterol (LDL-C). Few studies exist as to how increased inflammation modulates lipid parameters. This study’s objective was to examine changes between lipids and markers of myocardial injury among RA patients demonstrating increased inflammation. Methods: We studied a longitudinal, large academic medical center-based RA cohort, examining annually-collected clinical data, CRP and blood samples among patients with an increase in C-reactive protein (CRP) ≥10mg/L CRP between any two time points at least one year apart. The first time point was defined as the baseline. Subjects on statin therapy one year before baseline or during the one-year follow-up period were excluded. For all subjects, we measured routine lipids: total cholesterol (TC), high density lipoprotein cholesterol (HDL-C), LDL-C; advanced lipoprotein measures: apoA1, apoB, HDL cholesterol efflux capacity; myocardial injury markers: high sensitivity troponin T (hs-cTnT); myocardial strain: pro-BNP. The paired t-test was used to determine significant differences between baseline and follow-up. Among 1,443 unique RA patients we identified n=103 RA patients who experienced an ≥10mg/L CRP increase in two consecutive years. Baseline characteristics of this cohort were as follows: mean age 59 years, 80% female, 72% positive for RF and/or anti-CCP antibodies; baseline treatment MTX 50.5%, tumor necrosis factor inhibitor 49.5%; a mean CRP increase of 35.9 mg/dL was found. On concurrent follow-up labs, TC, LDL-C, apoB and apoA1 were all significantly reduced (Table). HDL cholesterol efflux capacity was not significantly altered. Both biomarkers of myocardial strain and injury (pro-BNP, hs-cTnT) were significantly increased. Conclusion: Among 103 RA patients experiencing significant increases in inflammation, markers of subclinical myocardial injury and strain were increased despite concurrent decreases in routine lipid levels, including ones predictive of reduced CV risk. These findings suggest that increases in inflammation in RA may promote subclinical cardiac damage and CV risk while other, accepted CV risk markers, i.e. LDL-C, may mislead clinicians in this setting. Table. Lipid and myocardial biomarkers at baseline and follow-up after RA patients experienced increase in inflammation. Disclosure: K. P. Liao, None; J. Huang, None; G. Cremone, None; E. Lam, None; N. Yang, None; M. Playford, None; C. K. Iannaccone, None; J. Coblyn, None; E. Massarotti, None; M. E. Weinblatt, Amgen, BMS, Crescendo Bioscience, Sanofi/Regeneron, 2,Abbvie, Amgen, BMS, Crescendo Bioscience, Corrono, GSK, Gilead, Eli Lilly and Company, Lycera, Merck, Novartis, Pfizer, Roche, Samsung, Set Point, UCB, 5,Lycero, Can-fite, Scipher, Vorso, Inmedix, 1; N. A. Shadick, Bristol-Myers Squibb, 5,Amgen Inc., 2,Mallinckrodt, 2,UCB, Inc., 2,Crescendo Biosciences, 2,Sanofi, 2,Bristol-Myers Squibb, 2,DxTerity, 2; N. Mehta, None; J. Plutzky, None. Liao KP, Huang J, Cremone G, Lam E, Yang N, Playford M, Iannaccone CK, Coblyn J, Massarotti E, Weinblatt ME, Shadick NA, Mehta N, Plutzky J. Divergent Patterns of Cardiovascular Risk in Biomarkers of Lipids and Subclinical Myocardial Injury during Increased Inflammation in Rheumatoid Arthritis [abstract]. Arthritis Rheumatol. 2018; 70 (suppl 10). 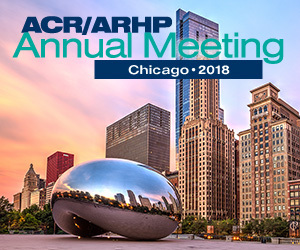 https://acrabstracts.org/abstract/divergent-patterns-of-cardiovascular-risk-in-biomarkers-of-lipids-and-subclinical-myocardial-injury-during-increased-inflammation-in-rheumatoid-arthritis/. Accessed April 21, 2019.